We love a good party here at The Urban List! But we don’t love idea of toiling away in the kitchen for hours preparing a feast—that is as delicious as it is Instagram-worthy—for our guests. We’d much rather sip a cocktail, nibble on canapés—prepared by someone else obvs—and work the room than be stuck behind the scenes. Are you feeling our vibe? Fab! 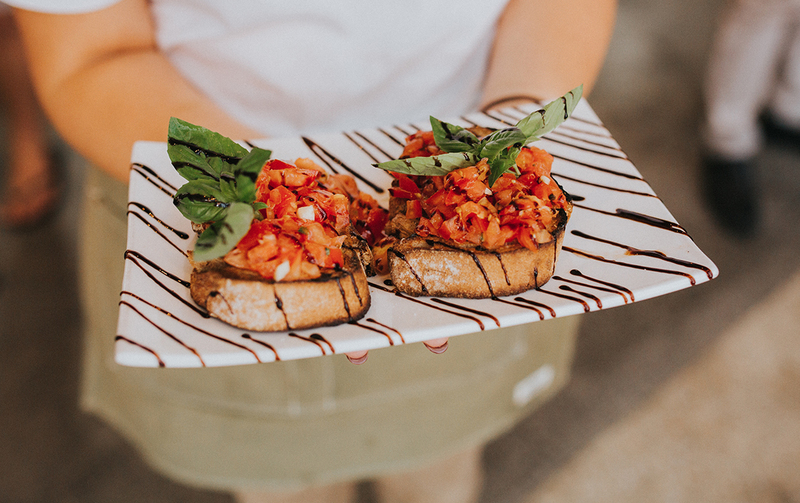 Because we’ve done all the hard work for you and rounded up our favourite caterers here on the Gold Coast. No thanks needed, just flick us an invite to your next party yeah? 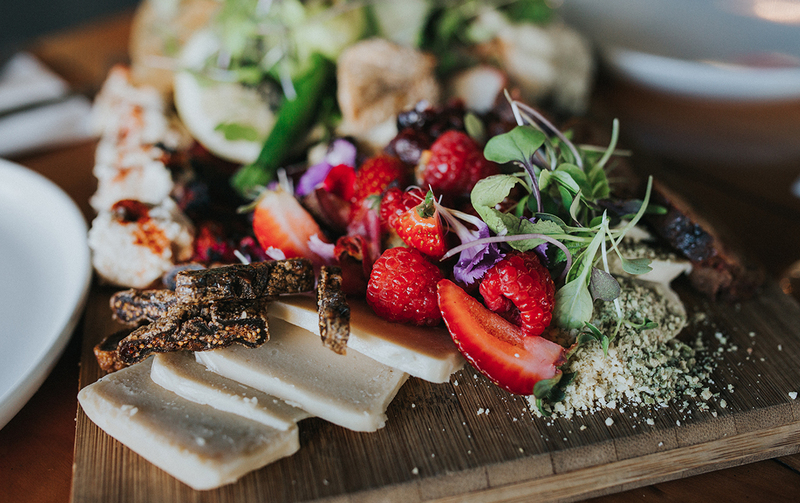 These Sydney surfers turned Byron Bay farmers are known for producing some seriously good grub so it only stands to reason that their catering services are just as top notch. Three Blue Ducks do it all, from weddings to cocktail parties to corporate events and birthdays—you want a custom feed, they’ve got you. Canapes-wise think chicken skins, parfait and plums on lavosh and pork rillettes with mustard seed and shaved pear. After something heartier? Shared entrees and mains includes citrus ceviche, kangaroo tartare and Sri Lankan beef curry with coconut sambal. Sign us up! If you’re after hearty, home-style fare for your next shindig then DC Catering are the ones for you. Think pork and chive dumplings and mouth-watering beef meatballs smothered in smoky BBQ sauce. And best of all they come with their own kitchen truck, so they don’t even need to invade your kitchen. But if you really want to impress your pals, they’ll love it when DC Catering pull up with their Wok’n’Rice street food van. That’s right, you can create your own mini festival. The van serves up pure Chinese goodness, think 12h slow cooked Char Sui pork belly pieces. Drool! What’s a sure-fire way to make your party guests rate your shindig a 10/10? Hire a pizza van! Yep the gang at The Italian Job Catering—who FYI are the team from GC fave Bread’n’Butter—will come your event with their van and pump out mouth-watering pizzas from their wood-fired oven. And best of all, they’ll pop up at events from Byron to Brisbane, so nobody misses out. If you’re after something a little more substantial they also offer all you can eat banquets with homemade gnocchi, antipasto platters, scallops, bruschetta and of course more pizza. Italian food coma, come at us. Leigh and Dennis Duncanson, the talented duo behind Fingers and Bones want to take you back to your mum’s kitchen with their homemade treats. And with over 30 years’ experience in the kitchen between them, they certainly know how to do that. Their ethos, that food should be enjoyed with laughter and love is evident in their spreads. Think delish vegetarian platters that would satisfy even the biggest meat eater to moreish canapes like pork sliders, rosemary roasted lamb and dark chocolate brownies to finish. Now we’re really hungry. The Coast is legit becoming a serious hotspot for downright delish vegan and vegetarian fare and Greenhouse Canteen has to be one of the very best. If eating there weekly isn’t enough for you, you can even get them to cater your next event, with weddings being one of their most popular requests. They do everything from stand-up canapés and grazing platters to full banquet service. The purely plant-based offerings feature mouth-watering eats like raw tacos with nut mince, avo salsa and pickled cabbage, or sticky Korean pineapple, fried polenta and siracha mayo on a betel leaf. They even cater a pop up Botanical Bar if you’d like and trust us, with elderflower martinis on the menu, you’d definitely like it. Nothing beats washing down a good feed with an ice-cold beer and thankfully Kombi Keg has you covered. The concept is simple, it’s beer kegs housed in a, yep you guessed it, Kombi van and a really pretty one at that, think a bright white and turquoise colour scheme. With six beer taps, guests will get a serious kick out of pouring their own frothies from a restored VW. Beer not your thang? No worries, Ruthie—as the kombi is affectionately known—can house iced tea, komucha and juices. Oh and did we mention Ruthie also has a 55 inch pop-up TV too so you can play movies, sports matches or videos until your heart’s content? Winning! Does this name ring a bell? It should? The Ridgeway Catering Group belongs to none other than GC esteemed chef Daniel Ridgeway of Little Truffle and the BiN restaurants. Yea, that guy! So when choosing this team to cater your next event you can forget cheese and onion on a stick, we’re talking beautifully plated and downright delicious food that will have your guests talking about your shindig for weeks to come. Cheese lovers rejoice, this one is for you! And by you, we mean us, ‘cause these spreads are seriously Instagram-worthy. Fromage Table specialise in gourmet grazing. 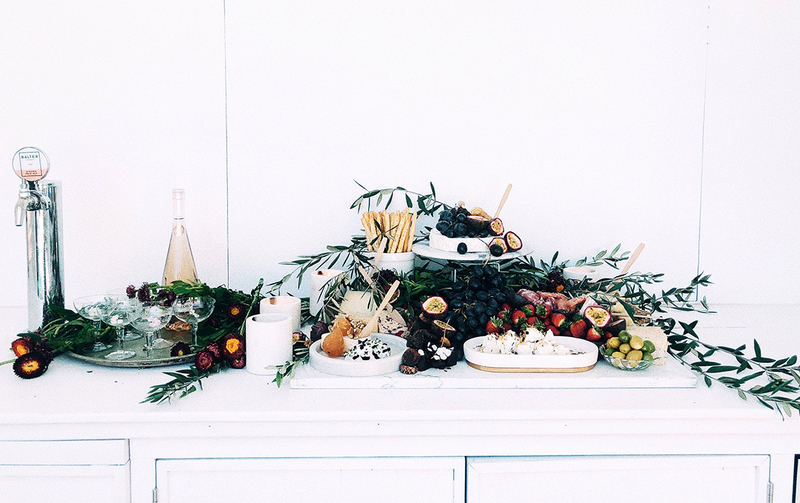 Think: figs, berries, prosciutto and every delish cheese under the sun—organic and locally sourced—all artfully arranged on wooden platters and copper bowls. And they offer tailored booze packages too. The biggest issue you’ll have with these spreads is grabbing a pic before your mates devour it. FYI they also offer loads of vegan and gluten-free options too, so everyone can enjoy their treats. If you’re looking to take your birthday party, hens night, bridal or baby shower nek level look no further. These platters are absolutely gorgeous and even better, they taste just as delightful as they look. They offer platters for groups as small as six people—hell yes to kicking your Sunday sesh drinks up a notch—to parties as large as 100 people plus. Platters consist of locally sourced cheeses, fruits and deli-style meats. For those with a sweet tooth you can’t go past the “Sweet Big Sister”, a three-metre-long twist on a lollie buffet. Drool! Because every good party needs an equally good cocktail to go with it you can’t go past the rad crew at Irish Shakes. They operate on a BYOB basis meaning you provide them with the booze and they provide the shakes. Guys, that’s a savvy way to save some serious coin. 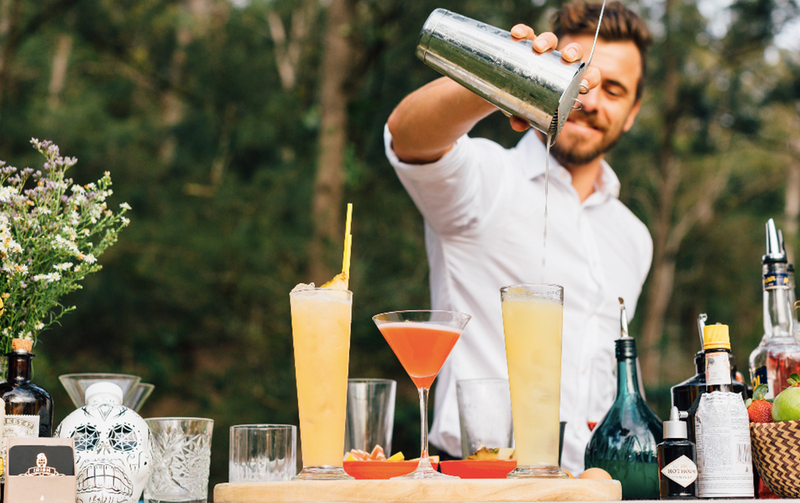 The shakers will work alongside you to ensure your event—no matter the size—is exactly what you’re after, we’re talking everything from the ingredients to the glassware, now that’s service! Their packages start small and go up to groups of 150 people so pretty much no matter the event, these cool cats have got you covered. Looking for somewhere to host your next party? Check out our round up of the best event spaces on the Coast.